What is a cloud business phone? A cloud phone system, simply put, is a business phone system on the cloud. With a hosted telephone system, the bulky box and all of the wires and also storage of calls, have moved to the cloud. Now your employees can work from any location. Get an Exophone (virtual number) on Exotel. Divert all calls from your customer facing to the your Exophone. Create an IVR greeting, pick the options and customize the call flow to ensure that your customers have a smooth experience. Smart call routing diverts calls to the right agents based on your customer’s input and the team’s availability. Setup a call center in minutes. Add co-workers, create a call flow and you are good to go! To use a cloud phone system, all one needs to do is to sign into a web portal. This allows your employees to work remotely and not be chained to their desks. 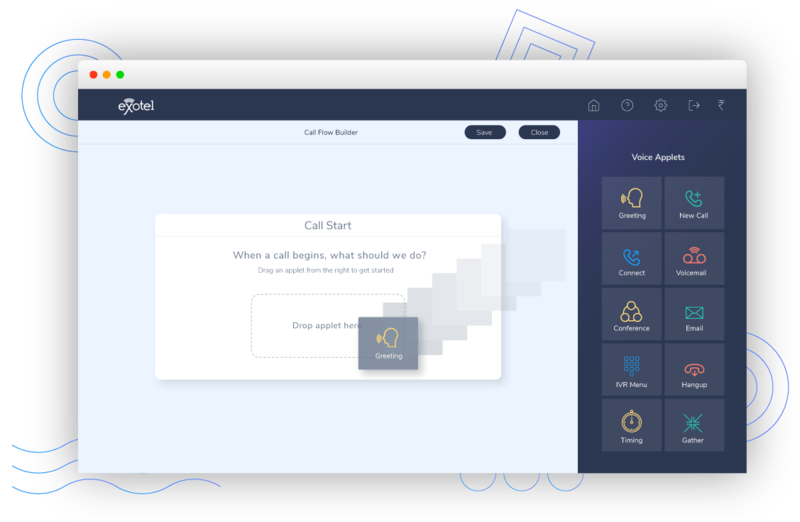 You can build complex call flows, edit your IVR messaging, add a custom on-hold tone etc. without help from a specialist. With no setup and no maintenance costs, the cost saving when you choose a cloud phone system is very large. Who should move to the cloud? Set up an IVR greeting for your callers and divert the calls to the right teams based on the caller’s inputs. Exotel sends you daily reports that help you track agent productivity, missed calls, the number of callbacks, etc. Exotel’s cloud phone systems offers unlimited channels. What that means is that you will never miss a call due to lack of available lines. Looking for a Business Telephone System? Try Us for Free! Why choose Exotel’s cloud telephony? Best success rate, Voice quality and reduced latency. 24×7 customer support via phone, email and twitter.